I enjoyed the first race of the season. I would have liked a bit more form. But, then who wouldn’t? The course for North Road Hardriders is a real roadman’s course, partly for the technical aspects, but mainly for the power profile, which is lots of short surges to get up the short climbs. In a very general sense, it is more akin to Belgian classics with 2 minute climbs, rather than the Ardennes or Alps with longer climbs. I’m not equating a 25 mile time trial to the 245 km Tour of Flanders, but you get the idea. With that kind of course, it suits those with a bit of explosive power – fast twitch muscles to get up the short climbs and accelerate out of corners. In the hill climb season, I try to train this aspect of fitness, short intense efforts to improve the fast twitch muscles. It’s hard work, because genetically, I have a higher percentage of slow twitch – good for long distance, but not so good for the short distance, explosive efforts. At this time of the season, I’m concentrating on an endurance base, and have done quite a few rides at a level just below threshold. It makes for enjoyable training rides with high average speeds. It also feels like you are just holding back. Not training at 100%, but with more in the tank for when you really want to peak. The day after the race, I had some muscular tiredness and was in two minds whether to train or rest. I looked at the weather forecast for the week and decided to train Monday – I can always rest when its raining in the rest of the week. It was a relaxing training ride, no effort to keep high pace, but a good old fashioned endurance ride. The weather was very good, and I was enjoying looking at the quiet Cotswolds scenery and the trees and birds in the distance. The things you never notice when you’re flying along with head-down trying to keep a power meter ticking over. I even stopped to take some great photos of bare trees silhouetted against the sky. Well, they would have been great photos, but I forget to put an SD card in camera. Never mind – just because you don’t have digital proof, doesn’t mean you can’t have a good bike ride. 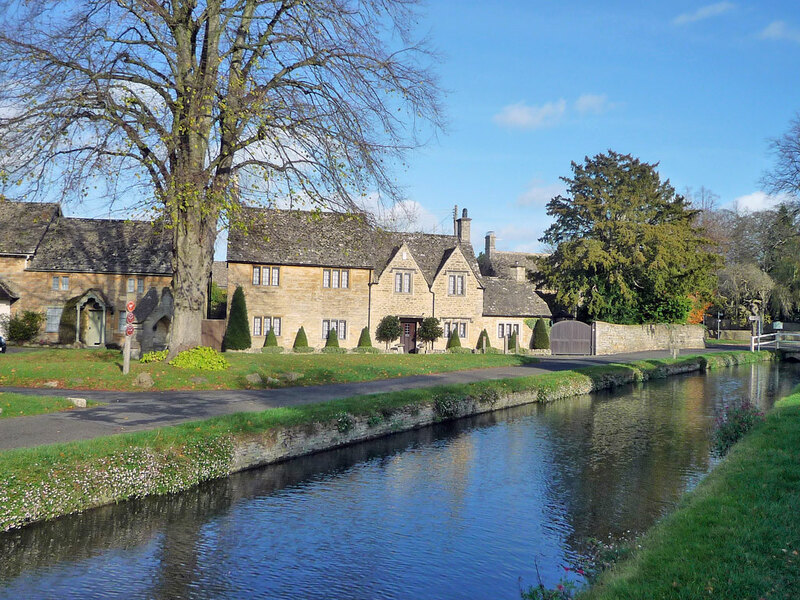 To say I was thinking of having a rest day, I ended up riding for four hours to Bourton on the Water for 73 miles – encouraged by the good weather. The legs had some tiredness, but today they feel better for having ridden 73 miles. I’m not going to claim the 73 miles was a recovery ride. But, sometimes the legs are not as bad as they can feel in the mind. It is an important skill to know when to rest and when to keep riding through minor discomfort. If you wait for everything to be 100%, you would never ride. But, equally, there is a certain type of pain and discomfort which does need to be listened to – no matter how enthusiastic you feel for cycling. It’s one of those things you need to learn from cycling and seeing how it goes. Well not quite, we did have the Tour of Oman e.t.c. But, it is hard to get too involved in these races. But, when you start seeing races like Het Volk (these days Het Nieuwsblad) it feels like the start of the season proper. My joy at seeing a lone breakaway of Jasper Stuyven win Kuurne–Brussels–Kuurne was slightly diminished by the aesthetic horror of a flapping number – just imagine if he had been caught on the line – that wasted 1 watt could have cost him. 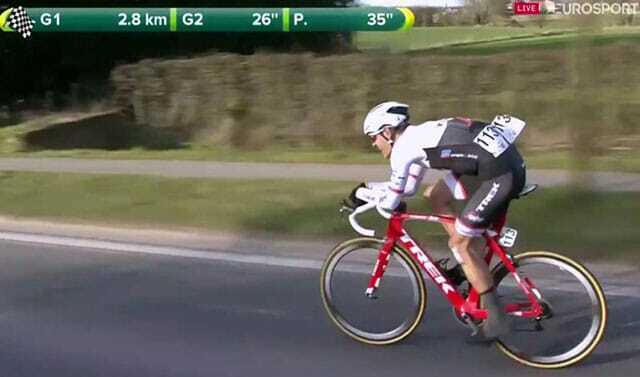 I think all professional cyclists should spend a year doing amateur time trials in the UK and they would learn a lot. Mind you, I have bad form in my own number flapping aero-disasters, so I shouldn’t say too much. I always keep a spare safetypin taped under my saddle, comes in handy when you find your number flapping with just a couple of minutes before your start time.